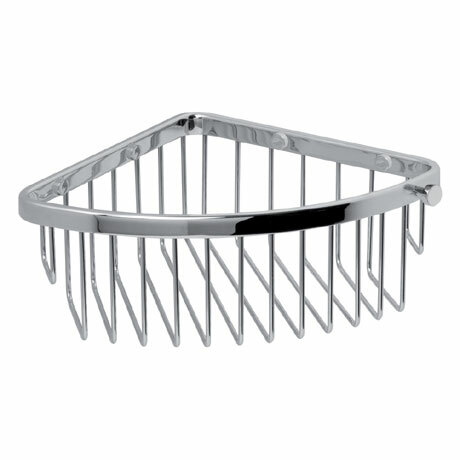 The pinnacle of luxurious showering accessories, the Classic large corner soap basket adds sophistication. Crafted from brass and chrome plated, this wall mounted accessory features innovative, concealed fixings and a practical hook for hanging loofahs and brushes. For peace of mind Miller offer a lifetime guarantee on this item. I purchased this item because of its quality build - excellent quality - a bargain at the price.